Basil Attipetty, Advocate practicing in High Court of Kerala, well known for his PIL activism, passed away today afternoon, following a cardiac arrest. He was fifty seven year old and a resident of Cochin. Before he entered Advocate profession, he was working as a legal liaison officer at Sree Sankaracharya University of Sanskrit. 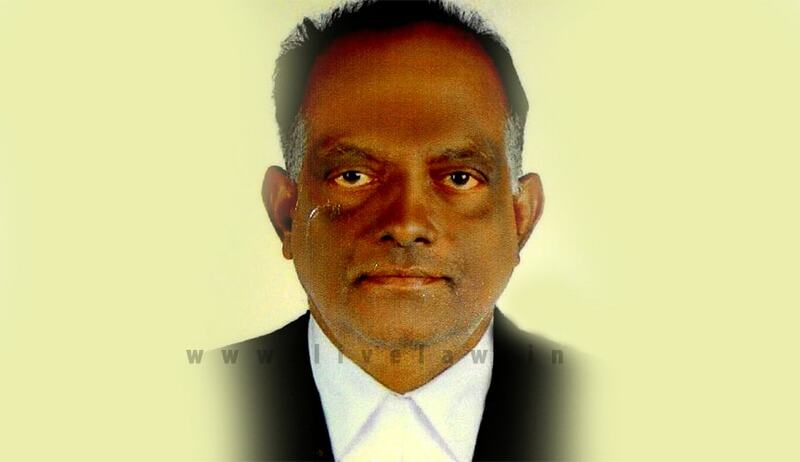 Advocate Basil had raised issue of stray dog menace before the High Court of Kerala. Co-incidentally the Judgement in the petitions, including those filed by him is listed tomorrow. In that case, Basil Attipetty appeared as party in person. Recently, he had filed another PIL seeking to arrange night shelters for migrant workers sleeping on the road. He had also challenged NJAC last year before High Court of Kerala on the ground that it is violative of Article 50 of the Constitution of India. Live law had covered his petition which may be read here. He had also filed PIL seeking a directive to the state to formulate steps to make better the living conditions of third gender persons in line with the Supreme Court judgment last year. The state, in that petition had announced a comprehensive scheme which would focus on socio-economic and educational empowerment of transgender people. It was pursuant to his PIL filed in Kerala High Court that the Kerala Administrative Tribunal (KAT) started its sitting in Ernakulum. He was also active in his attempts to bring National Green Tribunal Bench (NGT) to Kerala. Some of the issues raised by Advocate Attipetty before the High Court were regarding the use of stage system instead of kilometres travelled for calculating bus fare, politicians with criminal cases contesting in elections, denial of right to pray at the last moment for death row convicts, inaction of food safety officials in conducting surprise checks, stray dog menace, measure to ensure passenger safety in boats citing Fort Kochi boat tragedy, better living conditions for transgenders, fishing ban for small boats, night shelter for migrant labourers, sale of a poisonous substance called cassia as cinnamon and use of helmets for pillion riders. High court had once criticised him for filing “Private Interest Litigations” when he moved a PIL seeking a directive to the State government to take steps to implement Bolgatty project.